For those of you who love flow charts, have I got one for you. 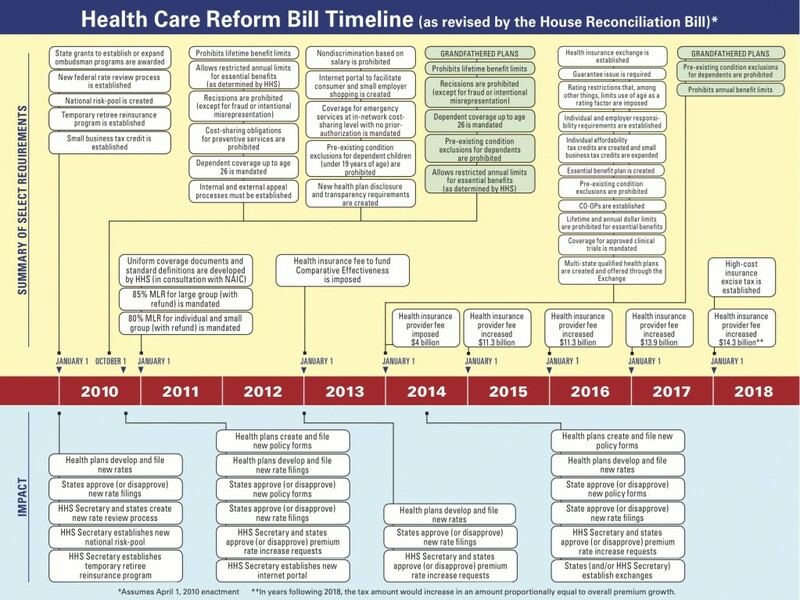 This is a really good timeline of health care reform and what is going to happen when. As you may be aware, I’m staying on top of all of the Health Care Reform information as it is released. Here is a timeline of events, starting with 2010. Now, exact dates have not been given for things such as the dependent to age 26 coverage rules, but most of what I’m reading is pointing to sometime around September 2010.